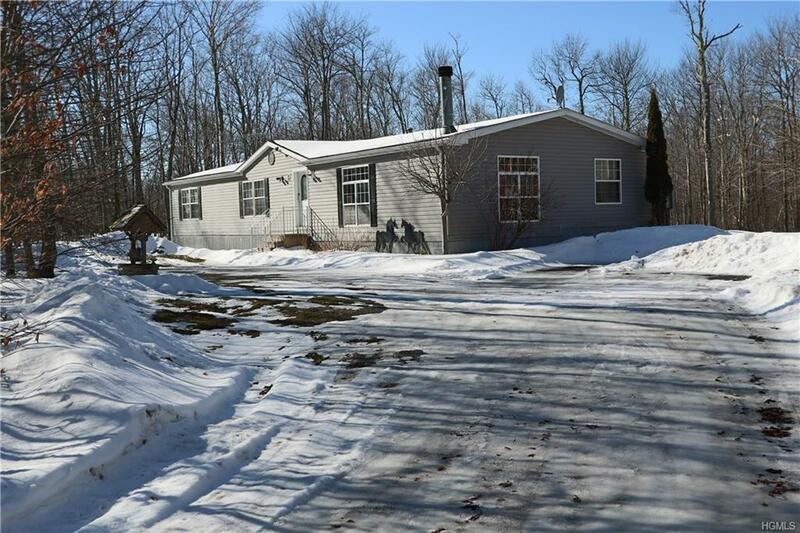 Well cared for home tucked in on a 7+ acre lot. 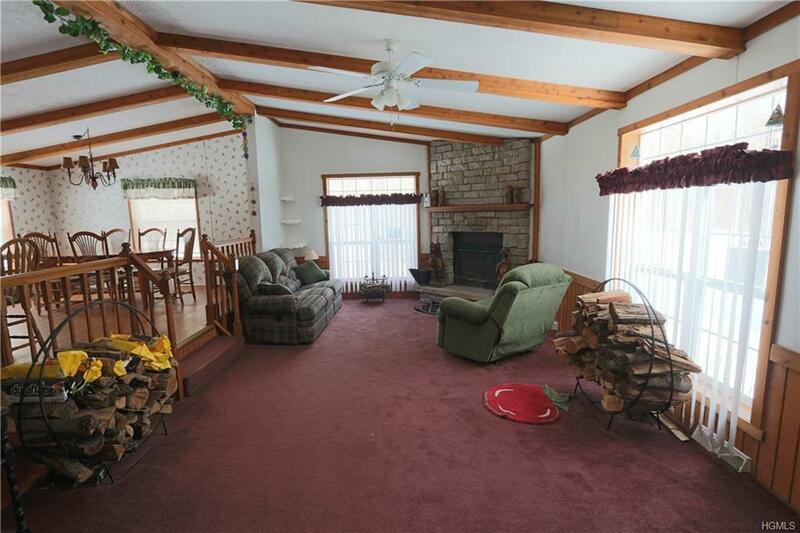 Very quiet location and only minutes from Route 17. 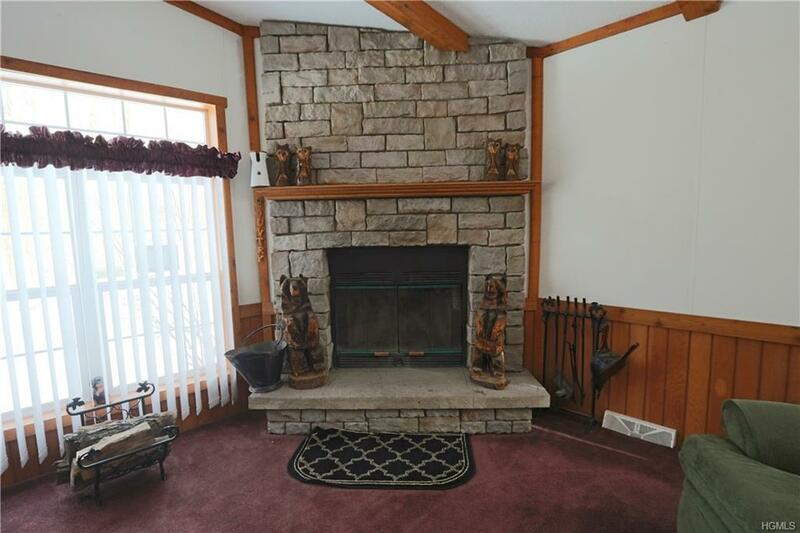 This double wide home has a sunk in living room with wood burning fireplace and an additional family room. 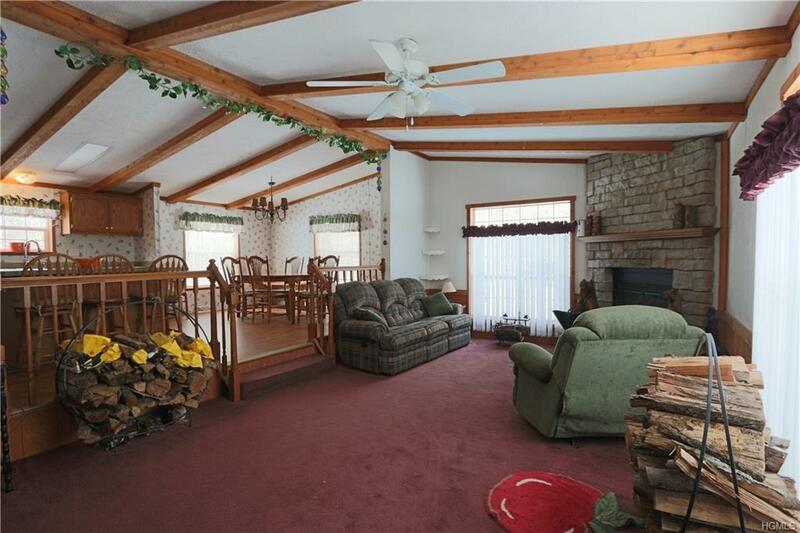 Nicely sized master bedroom with large bathroom. This house is equipped with cameras and controllable lighting.Great location for a year round residence or an inexpensive weekend get away. In the Livingston Manor School District. Listing courtesy of Ryan D. Edwards of Carole Edwards Realty.